One of my favorite kitchen appliances is the Vitamix. We use it every day in our house for smoothies, soups, nut butters, sorbets and more! Vitamix Blenders are Easy to Use! You can use it all year to create a healthy lifestyle!! Allow Vitamix to show you different ways to live a healthy lifestyle with their invaluable health page! Find recipes, and Healthy Lifestyle choices! With Vitamix’s easy to use and clean blenders and recipes, you will be living a Healthy and fulfilling lifestyle with ease! 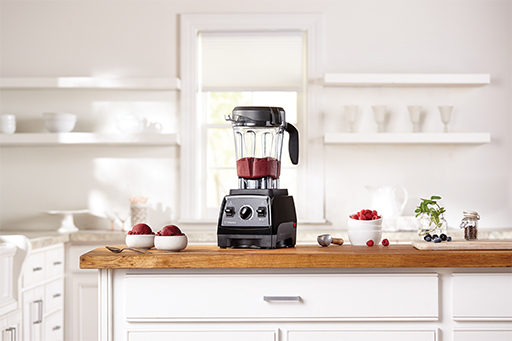 For a limited time, SAVE $130 on a Certified Reconditioned Blender with Programs ($249 US – lowest price ever). Includes 5-year warranty and FREE SHIPPING. Offer valid 11/25-12/3/2016 – or until supplies last. These machines go through rigorous testing to be stamped with our “Certified Reconditioned” seal of approval and come with a FIVE-year warranty. Purchase a NEW full-size Vitamix Blender and SAVE $90. Includes 7-year warranty and FREE SHIPPING. Offer 11/25- 12/31/16 or until supplies last. Be careful! If you do not check out right away, sometimes the free shipping will disappear. To reactivate it, just click another Vitamix link from this site, or re-enter the code 06-009611 . If you have any questions or concerns please feel free to contact me @ Elizabeth@PureSimpleWellness.com. 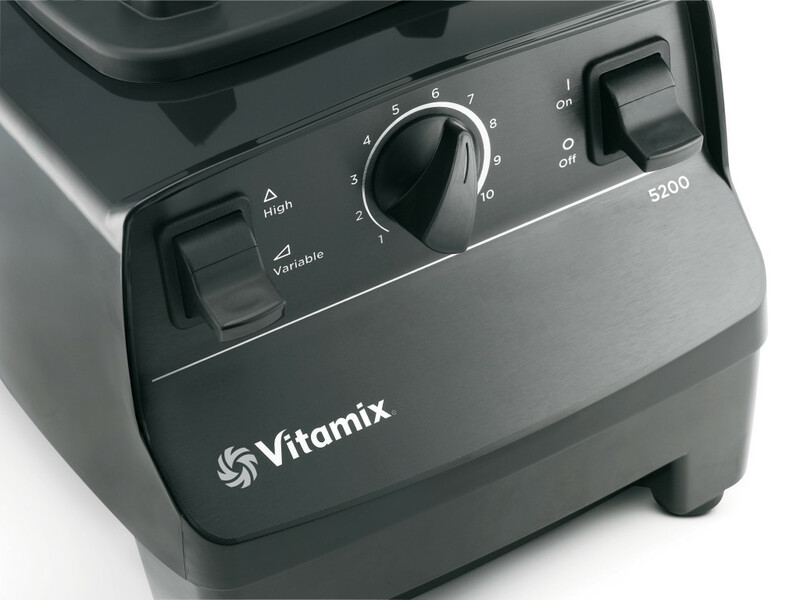 A final option is to call Vitamix directly at 800-848-2649. This Promotion Code may be given to any customer service representative who helps you. Question #1: Is a Vitamix really better than an ordinary blender? Answer #1: It really depends upon what you will be using it for. If you are health and wellness focused and regularly drink smoothies, make soups, nut butters and other healthful recipes, than you will definitely get your money’s worth. It blends your greens and frozen fruits until smooth. The kids won’t even know they are there (except perhaps for the color!). It’s the only high speed blend with a tamper as well, which is critical in making fresh fruit sorbets – with just 2 ingredients. A healthy and refreshing treat. I view a Vitamix like an Apple product – it’s an investment, but if you are going to use it several times/week, it’s well worth the money. Question #2: How do I know I’m getting the best price if I use your code? Answer #2: Since you will be buying direct from Vitamix, you are entitled to whatever promotion they are currently offering. With my code, you will get Free Shipping (USA and $35 off in Canada) as well as several other free bonus recipes guides and offers – that are not standard with other offers. Question #3: Are the refurbished blenders any good? Answer #3: Yes, they are certified by Vitamix and come with a 5 year warranty. If anything goes wrong with it, Vitamix will pay for you to ship it back to them to fix it. They stand behind their products. It’s one of the best warranties out there! Since you will be buying direct from Vitamix, you are entitled to whatever promotion they are currently offering. With my code, you will get Free Shipping (USA and $35 off in Canada) as well as several other free bonus recipes guides and offers. Please email me (Elizabeth@PureSimpleWellness.com) if you have any questions regarding the different models. I’d love to help you out with your purchase! If you order via my link, please email me with your order number, so I can ensure you receive the free BONUSES identified above! * If you purchase through my affiliate code, I receive a small percentage of the purchase price. I only participate as an affiliate for companies that I trust and use myself.